Halloween is here and if you still don’t own any owl product, it’s high time to start with the collection. 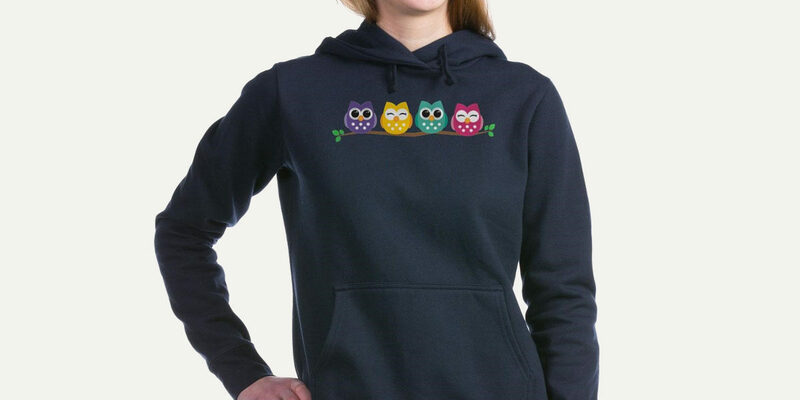 The trend is catching up and you can find end number of products given an owl like appearance. It started with jewellery and then moved to nail art and tattoos and has now taken over many household items. The owl symbolizes knowledge and wisdom and if that isn’t a good enough reason we suggest you try these products for the sake of halloween. These can also make for a nice halloween present. This beverage dispenser made up of glass, is to serve punch to your guest during halloween. 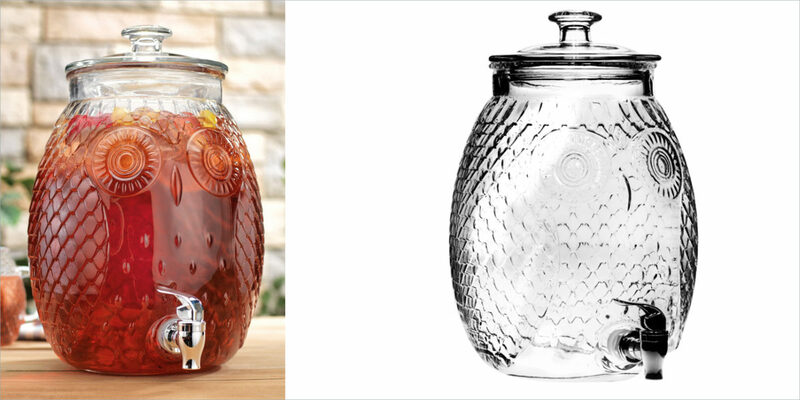 With 2.5 gallon of capacity, it is perfect for such get-togethers. This is something worth flaunting during the Halloween. Even if you don’t like Owls, you certainly cannot hate the bags. This owl print is trendy and looks bright and pretty on bags and apparels. An owl print is something every girl must own. Here is a pair of adorable handmade paper clip. You can use them as bookmarks, paperclips or mere decoration. It will make your boring documents look a lot more fancy and a little halloween-y. For your little one, nothing could be so warm and delightful than this cute little baby hat. 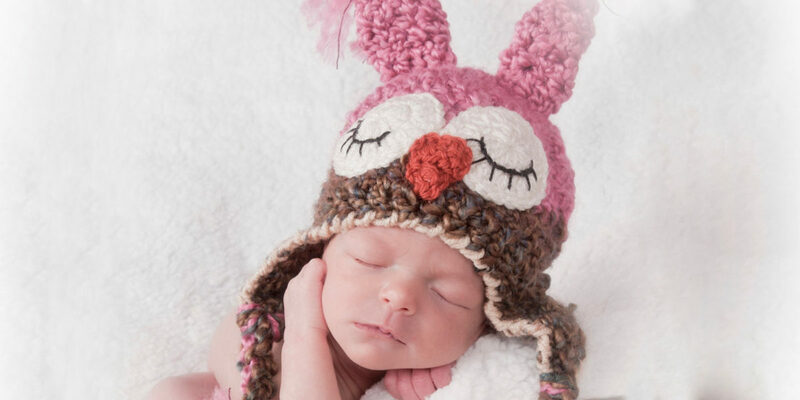 The hat comes in multiple colors and adorable owl pattern. The earflaps and tassels adds to the overall cuteness to this yarn hat. If you like handmade, metallic, ethnic jewellery you are probably going to like this too. 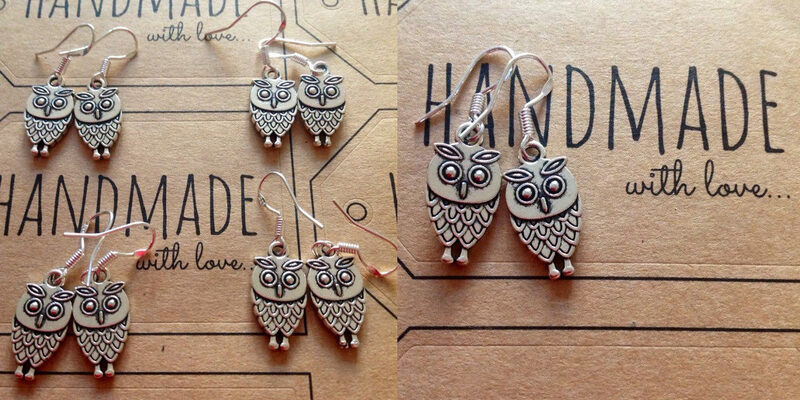 These handmade owl earrings are absolutely captivating. The detailing on the design is done on both sides. These are made of silver alloy metal and the hook is silver plated. 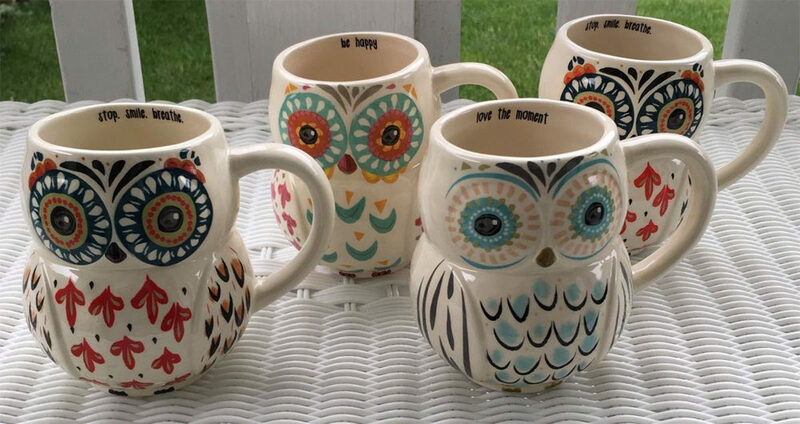 Another owl product for your precious little. After all, you want your baby to grow wise like an Owl. 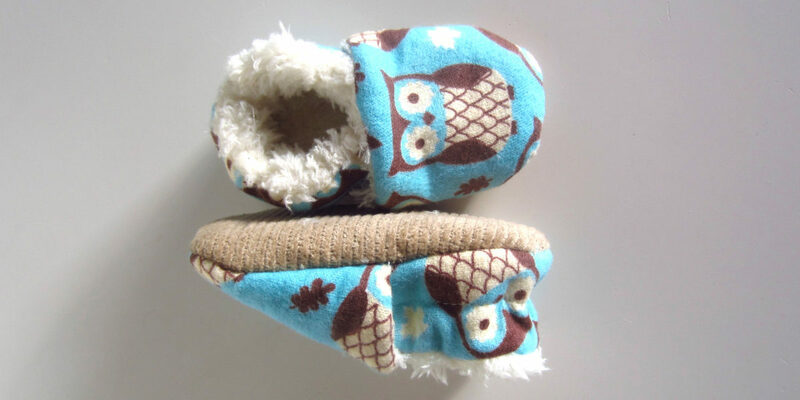 These cute owl shoes are from 100% cotton soft cream flannel. This will keep your baby warm without causing any kind of discomfort. 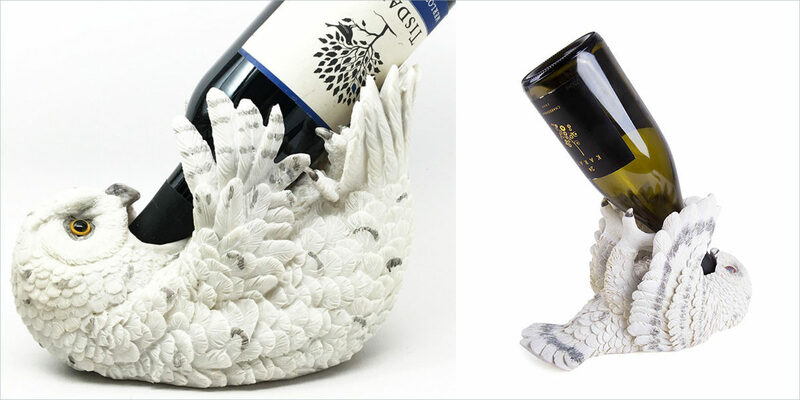 This is not an ordinary wine holder. This is a well sculpted, tasteful wine holder. This can also be a great decor for your home. It will certainly make you look wise during your halloween get together. And now for people who prefer coffee over wine and cafe over bar, here is a gorgeous set of mugs that you can get for yourself this halloween. The print looks phenomenal and highly artistic. They have a happy message for you inside the rim and are dishwasher and microwave safe. Here is something to make a style statement. This sophisticated owl backpack is dark, casual and fun. If you’re someone who prefers a cute backpack over a handbag here is a great option for you. Phone cases are an important accessory these days and people use it not just to protect their phones but also create an identity of their own. 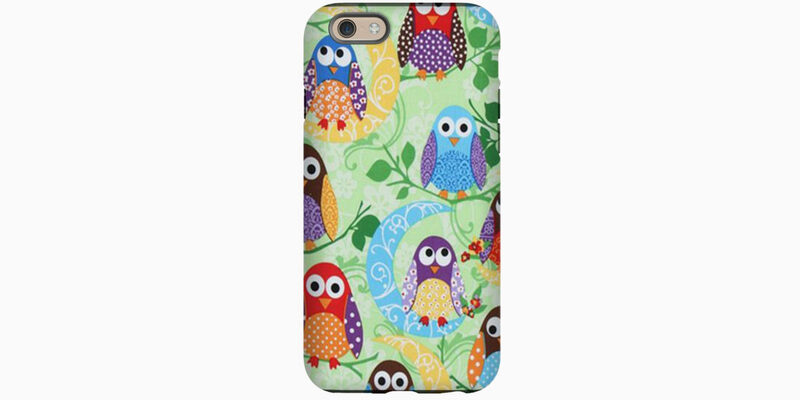 Owl print phone cases are very popular and if you don’t have one, we suggest you purchase one without further delay. 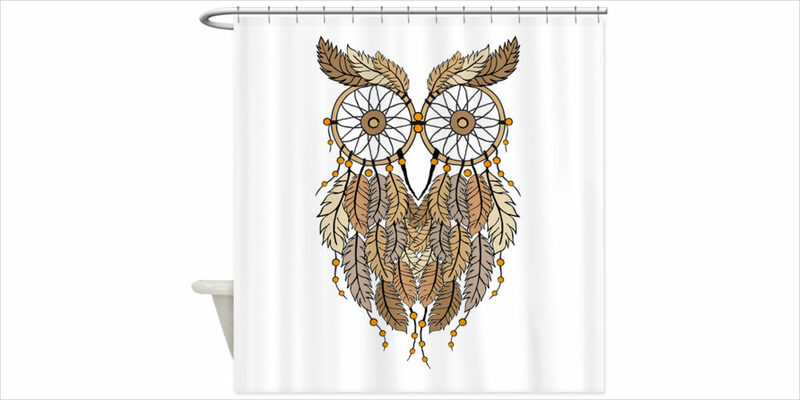 This is cool shower curtain has a dreamcatcher and an owl designed together. This would instantly brighten up your morning and infuse a lot of positivity. Here is a cute apron to remind you that you are loved. If you are someone who loves to spend time in kitchen an apron is a perfect product you can get for yourself. 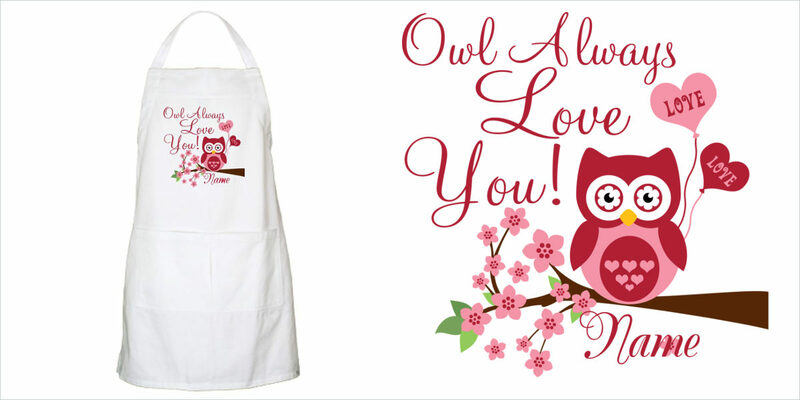 This apron comes with a beautiful owl print and a lovely message. Lastly, it is not possible to compile a list of owl products and not include a t-shirt! A t-shirt with an owl print is a must for this season. Better if you get a sweatshirt that you can easily flaunt during winters. They come with various messages and you can choose the one you relate with the most.